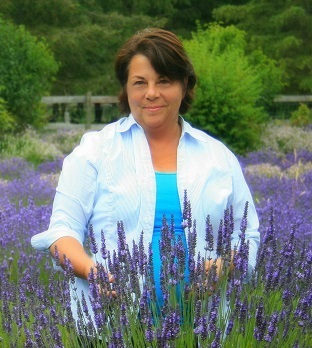 Sue Goetz is a garden designer, writer and speaker. Through her garden design business, Creative Gardener, she works with clients, personalizing garden spaces from the seasonal tasks to the design of large projects. Sue’s garden design work has earned gold medals at the Northwest Flower & Garden Show, the Sunset Magazine Western Living award, Fine Gardening best design award and The AHS environmental award. Her home garden was featured in Northwest Home and Garden magazine, as well as Country Gardens Magazine. Writing and speaking are Sue’s favorite ways to share her love of gardening. Her motto “…inspiring gardeners to create” defines all of her talks with hands-on workshops, how to’s and ways to inspire creativity in and out of the garden. In 2012, she was named educator of the year by the Washington State Nursery and Landscape Association. Sue is a member of Garden Writers of America and her work has appeared in numerous publications including the Tacoma News Tribune, Seattle Met, APLD Designer magazine, West Sound Home and Garden and Fine Gardening Magazine. Sue is certified as a professional horticulturalist (CPH) with the WSNLA (Washington State Nursery and Landscape Association), a member of APLD (Association of Professional Landscape Designers), the Northwest Horticultural Society and a member of the Garden Writers of America. Sue lives and gardens in Washington state. She has three daughters, who no matter how far they roam, they still call home for some of mom’s fragrant, herbal concoctions.